In our discussions about politics, society, and culture, the vocabulary of “human flourishing” has become increasingly popular, moving dangerously close to the status of blurry buzzword. Yet at its best, the term captures the connective tissue between the material and the transcendent, the immediate and the eternal, pointing toward a holistic prosperity that accounts for the full complexity of the human person. In truth, most of us tend to elevate one to the detriment of the other, relishing in abuse of power or pursuit of poverty. Yet as humans created in the image of God, and as citizens of an upside-down Kingdom, we are called to embrace and combine each together. Such is the path to real life and abundance, both in the now and not yet. To understand such a paradox, Crouch argues, we have to reexamine our definitions of authority and vulnerability. 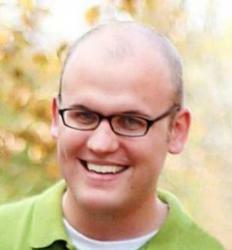 Using a 2×2 chart to demonstrate his point (see above right), Crouch explains that, when rightly ordered and properly understood, its a mixture that paves the way to an abundant life. When authority and vulnerability are combined, you find true flourishing. Not just the flourishing of the gifted or affluent, but the needy and limited as well…In the end, this is what love longs to be: capable of meaningful action in the life of the beloved, so committed to the beloved that everything meaningful is at risk. So how do we structure a society that cultivates the conditions for such flourishing, keeping the underlying paradox in mind? How do we foster institutions of culture and government that recognize human capacity and create room for “meaningful action”? 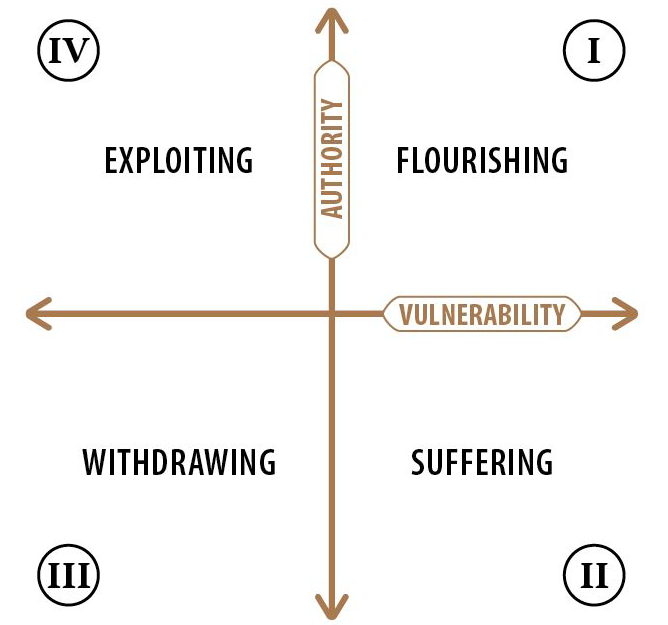 How do we embrace “exposure to risk” as a value, also using our power, authority, and dominion to protect and nurture and disciple the most vulnerable? 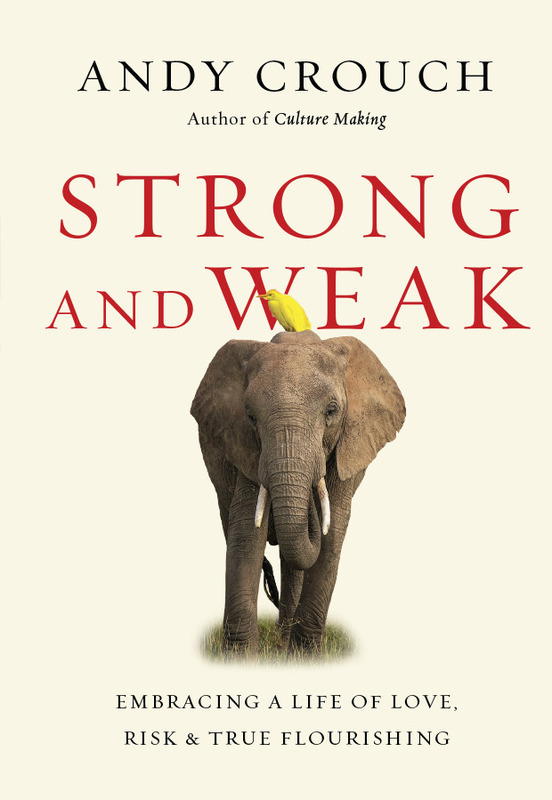 For more, see Strong and Weak: Embracing a Life of Love, Risk and True Flourishing.